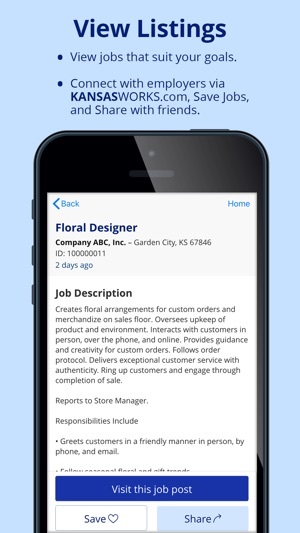 Looking for work in Kansas? 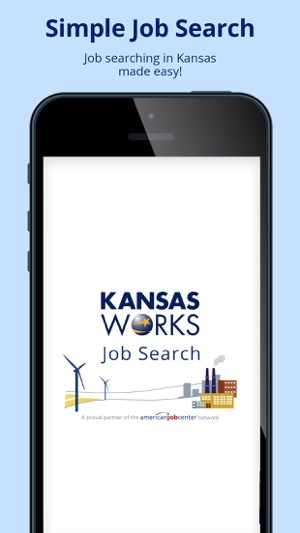 Install the KANSASWORKS Job Search app to find the job for you today! 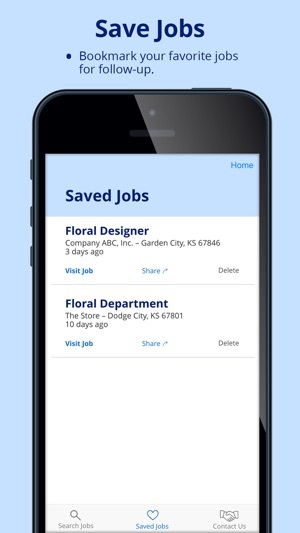 No ads, just an easy-to-use app for your Kansas job search. 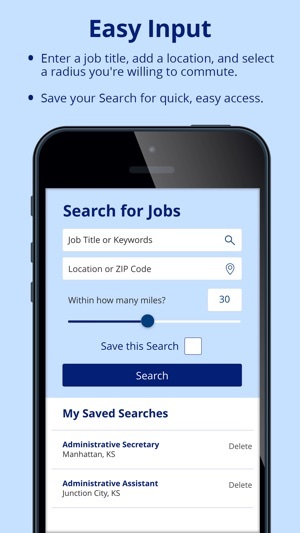 This app pulls job postings from KANSASWORKS, the State of Kansas’s online job system supported by the Kansas Department of Commerce. 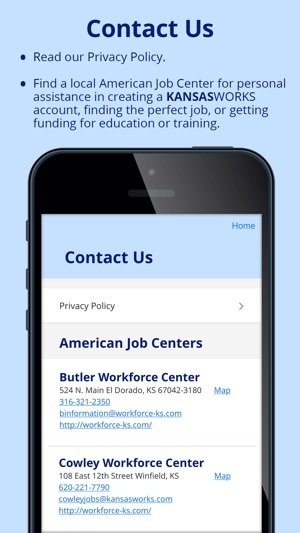 KANSASWORKS provides access to thousands of jobs from approved employers. It also gives you the tools to easily create resumes, apply to jobs, receive one-on-one support, and get funding for education and training. Find out more at kansasworks.com! Enhanced map functionality and fixed bugs.